HOW MANY CHARACTER SUPPORTED FOR QR CODE IN C1REPORT?? Why i try to create QR code with 652 chracter it still can show QR code but when more than that will no picture for QR code? the characeter that i test and count 652 character. >>but when more than that will no picture for QR code? What do you observe in this case? Please share a screenshot of how the barcode field looks in this case. 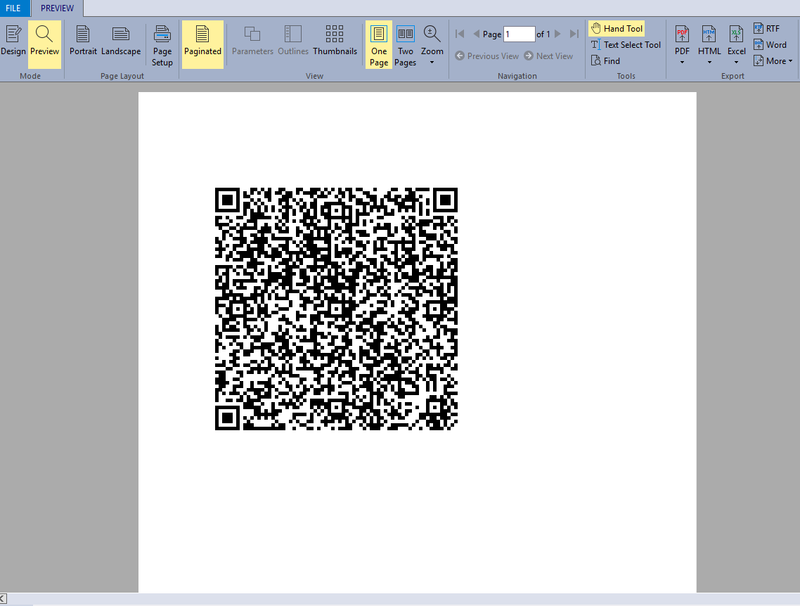 Ensure that the field size is big enough to accommodate the QRCode. Also, set its AutoHeight and AutoWidth properties to GrowAndShrink.